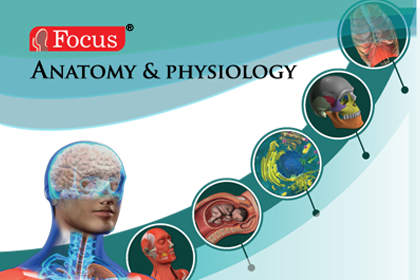 The Focus - ANATOMY AND PHYSIOLOGY series provides enormous ways to learn, review and teach the human anatomical systems and their physiology. A fun-filled series of animation videos that entertain children as they learn. This edutainment for children exploits their natural curiosity to learn. 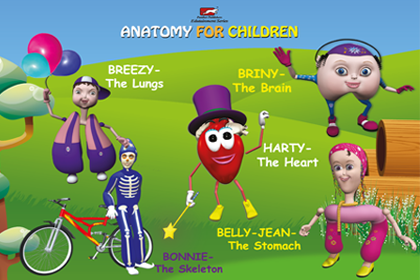 The 20 fun-filled animation stories are based on 5 characters that stand for five organs. Thanks for Registering with us. You will soon receive a mail with your access credentials. Please use the information in the mail to login. Thanks for Registering with us. We will reach out to you for taking this further. Thank you for showing interest in purchasing this product. Please write to info@cloverbridgetech.com with the product and quantity details. We will contact you soon with attractive pricing information. 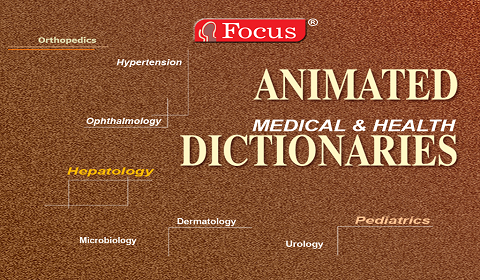 Focus Medica took the first tentative steps into the nascent field of digital publishing in 2005. Focus Medica successfully exploited the vast potential of 3D animations to conceive 275 innovative digital titles so far in Medicine and Health that communicate intricate and complex biological concepts.